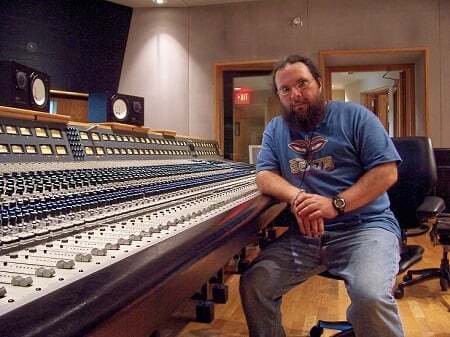 Self-described “Doer of Wizardry” in all things audio, Recording Connection mentor Seva Ball (Dolly Parton, Metallica, David Bowie) of Sequoyah Studios has been a recording engineer since the mid-seventies, a mixing engineer since the nineties. He also taught audio at the college level for 17 years, prior to mentoring for Recording Connection. Seva is also the associate founder of Waves, the now-famous plugins maker which was awarded at Technical Grammy in 2011. We recently spoke with Seva at his home base in Knoxville, TN, and had the pleasure of discussing his three rules on audio, the virtues of experimentation, and more! Sign up for our newsletter to get more great advice from Seva and other pros! Alright, we’re all ears. What are the 3 Rules of Audio? Your three rules of audio come out of your own educational experience at Belmont College where you went to audio school with fellow greats Bil VornDick, Chuck Ainlay, David Cherry, and Kerry Kopp just to name a few. What can you tell us about that experience? “We were being taught by the guys who had come up in Nashville from its very beginning. They had the old techniques firmly in their minds, and they truly understood what they were doing. Nowadays it’s really common for so many of us to get into audio and think we know exactly what we want to do. Yet you stress the importance of experimentation and discovery. “I think that trying stuff out and experimenting is very important. When you’ve got downtime, you need to be doing something with it…Get out microphones and find a trumpet player, clarinet player or saxophone, whatever, and mess around with it, see what kind of stuff you get. Look it up in the books and see what people have said…and just try out what you find. Don’t be complacent. When you think you know a lot and you don’t have much left to learn, that’s when someone’s going to pass you up. If you can figure out how you can go through failure and success and looking through a lot of stuff and not get tired of that, not being worn out by the experimenting process, then the best is yet to come.